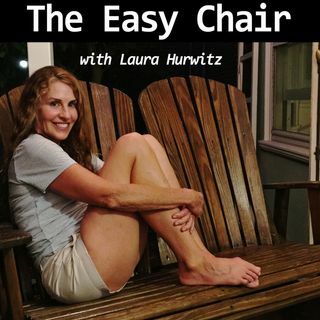 This week on The Easy Chair, it’s a triumphant return to Mightier than the Sword, with my wonderful co-host Steph Spaulding! I’ve been out of town and Steph’s been both hard at work and under the weather, so it’s been a minute since our last MTTS episode, and there’s lots to talk about. I’ve been writing, Steph’s been reading, and this crazy, remarkable world keeps spinning. Being able to write over the past month has given me some insight into my own writing process, which might prove useful ... See More to fellow writers out there. Steph has a great (and surprising) reading suggestion for readers. And we both agree- unsolicited- that we love our Ritual vitamin subscriptions, so we are giving Ritual a free, heartfelt shout-out. Health is HUGE. So are words, and how we shape/interpret them. Tune in. And if you have any comments, observations, or questions, email us at easychairpodcast@gmail.com. We want to hear from you!